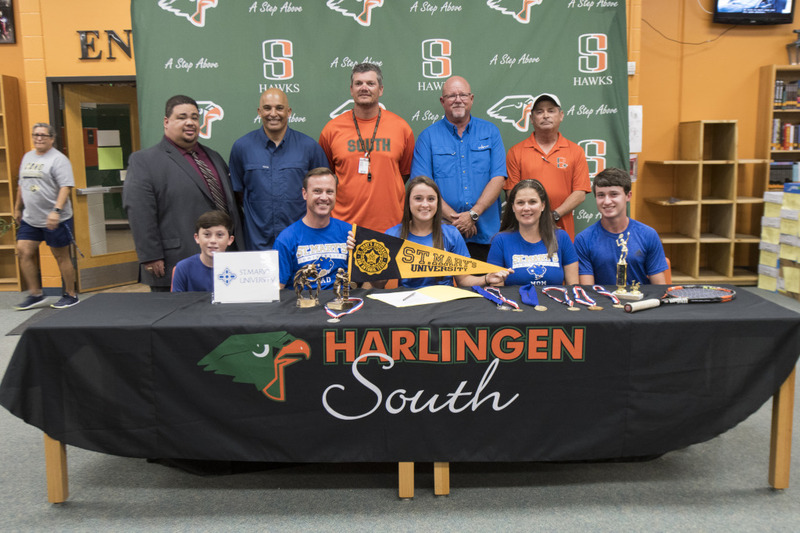 Three Harlingen High School South student-athletes signed their letters of intent to pursue post-secondary academic and athletic careers on May 31 at the HHSS Library. Students, coaches, community members, college representatives and members of administration came out to share the students’ excitement during official signing ceremonies. Tennis player, Grace Bell signed to play for Saint Mary’s University. St. Mary’s is a NCAA Division II school. 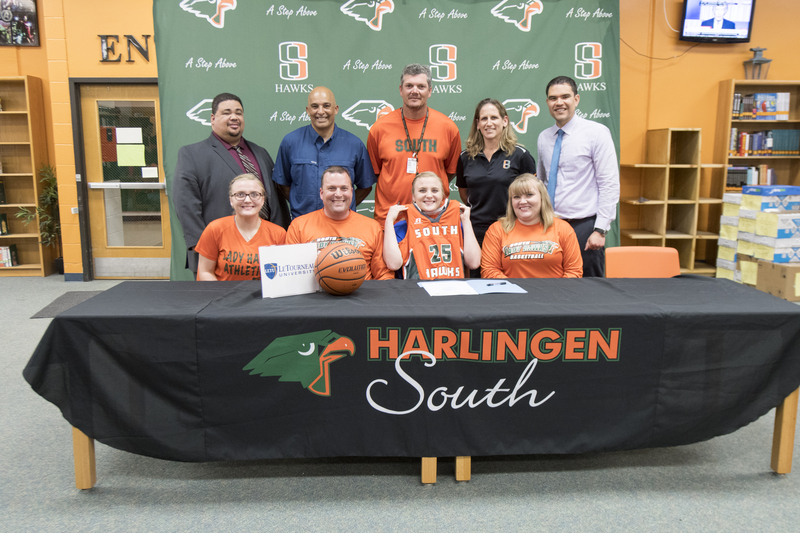 Leah Noe signed to play basketball for Le Tourneau University in Longview, TX. Le Tourneau is a NCAA Division III school. 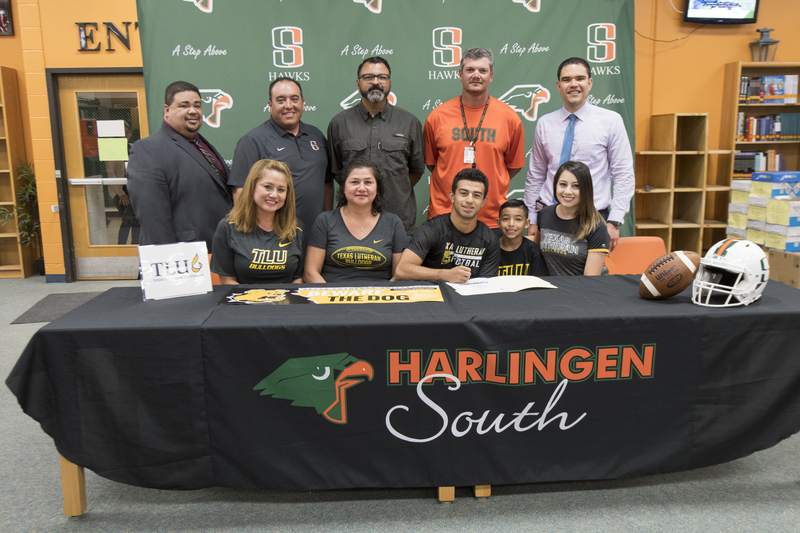 Football player, Adrian Torres signed to play for Texas Lutheran University located in Seguin, TX. Texas Lutheran is a NCAA Division III school.